Healthcare revenue cycle management is central to making healthcare function. Work with a staffing firm who understands your industry and can help you take the next step in your career. We’ve placed hundreds of candidates in the healthcare industry in temporary and permanent roles, and we’re just getting started. Work with the only staffing firm that knows you’re more than just a job candidate – you’re an integral piece of the healthcare system. You’re in the right industry! We can help. 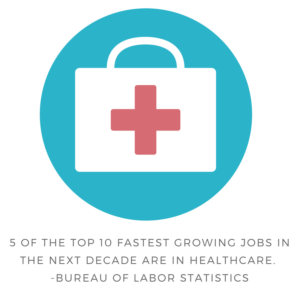 Looking for Healthcare Revenue Cycle Jobs? Let us help you.